ECCO manufactures a fill line of induction melting coils. 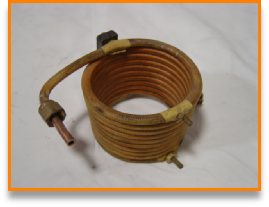 ECCO can provide replacement melt coils for all Ecco equipment in the field. Many items are stock, with more specialized coils being delivered with in a few days. We also can provide custom coils for any other manufacturer's power supply. We can also provide manufacture reproductions of those difficult to get foreign coils as well. 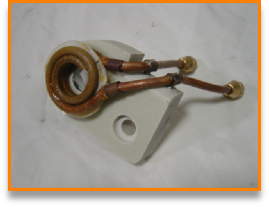 We can also convert your metric coil assemblies to US standard. 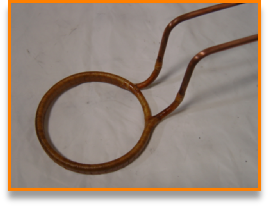 Please contact our office for further information on our coil making capabilities.